Muay Talay events are always intense and fun to watch! After nine days of water play, Pattaya’s residents took a much-needed breather with traditional rice-piling festivals in Naklua. 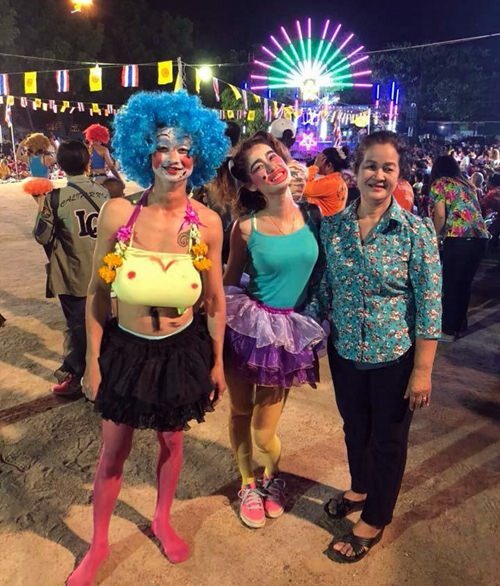 The April 20 “kong khao” ceremony at Lan Po Public Park brought locals and tourists together for shows and games, including slingshots, seaside Muay Thai boxing, puppet shows and oily post climbing. 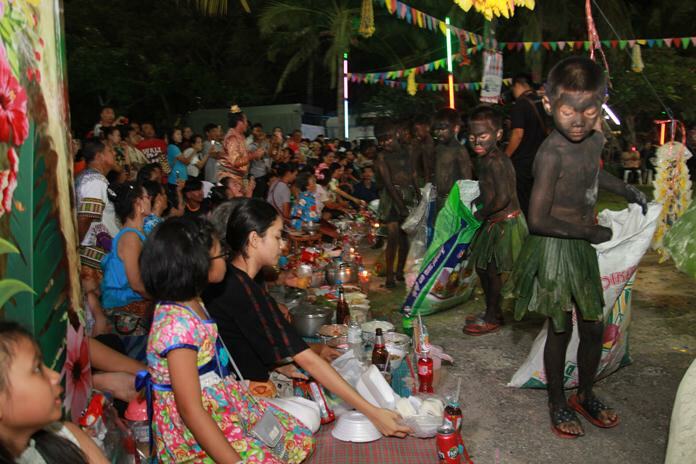 Some new activities were added to the schedule this year, including tin kicking and “kin wibak”, a game in which participants use their mouths only to make their way through a pile of powder and devour the sweets or given food underneath. Although labeled competitions, the contests mostly were for fun offering small prizes for winners. The crowd, however, did pay close attention to the youth chess competition won by Woramet Phuthong from Banpan Suksa School. Ornjira Manaow from Sriracha School finished second, Taks from Assumption School third and Sirawit Chonsri from Bangpra Kindergarten fourth. Winners took home 500-3,000 baht each. 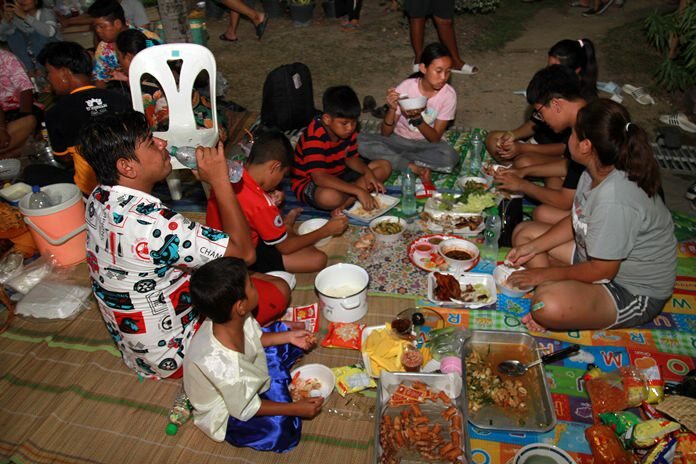 Mayor Anan Charoenchasri then opened the evening rice ceremony, calling residents forth to “pile” their goods, which included home-cooked meals, soups, rice, sweets and more. The spirits of the woods and those living within trees were called out to enjoy the feast. Thai people believe that by treating the spirits, they will receive good karma in return. Feeding the spirits means they are generally kept happy and the spirits will not harm the living after they’ve had enough to eat. As part of the ritual, participants dressed as angels and fairies to parade around the neighborhood, followed by a few dressed as devils to represent fear. They were and hungry for meat and desserts people put out according to ancient traditions. 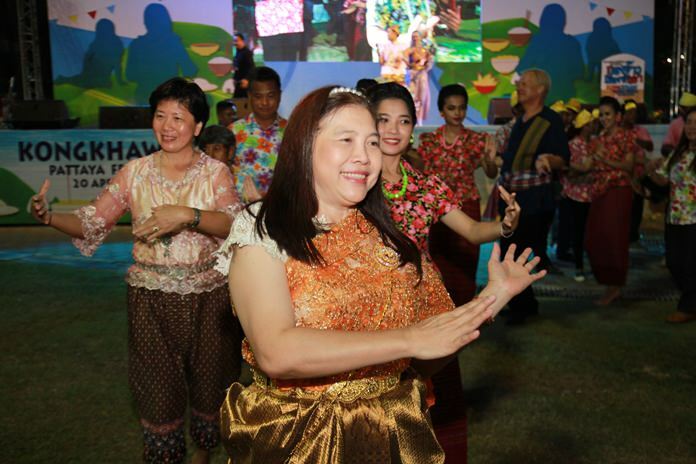 Former Culture Minister Sonthaya Kunplome and Pattaya Deputy City Manager Wuthipol Charoenpol presided over another rice festival at Nongyai Temple. Monks sprinkled holy water on participants for well wishes and good fortune. Later, after the offerings to the spirits, poor locals were invited to join the feast together before the entertainment took place. Many activities were available to those who like to dance, ‘ramwong’, enjoy the shows and much more. All leftovers were given to the dogs in the temple that evening since nobody wanted to take anything back lest spirits follow and harm their life, or so they believe. The kong khao festival is a polite, traditional way to herald the start of the Thai new year. Thais believe it will ward off evil spirits and the song, dance and good feelings will usher in a year of prosperity and good luck. 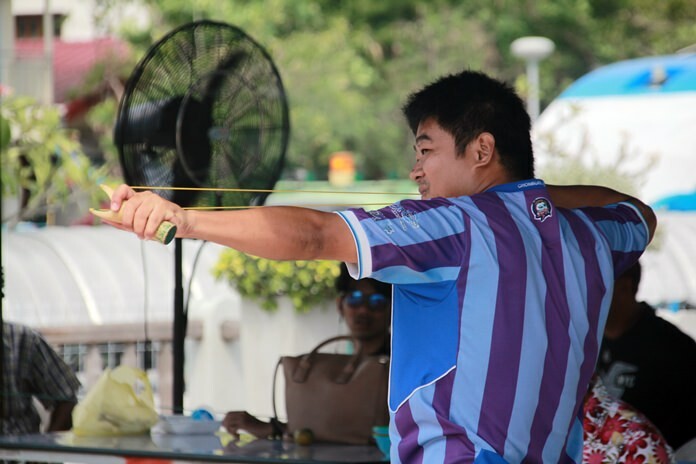 Sling shot snipers line up to accumulate points by hitting the target as many times as they can. The initial rice piling takes place at Lan Pho Park, where food is prepared for the spirits. 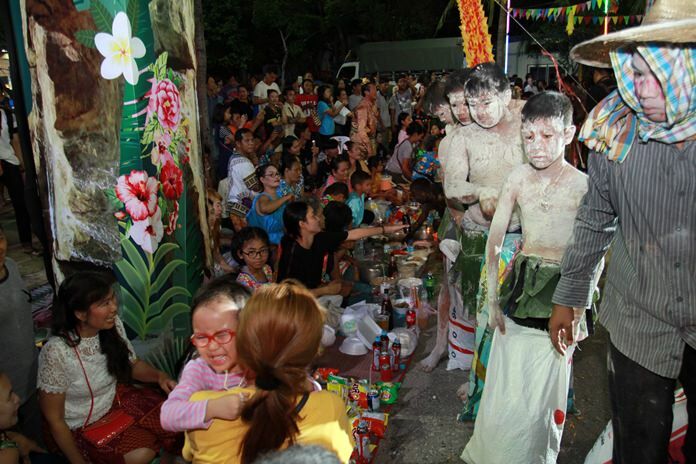 Youngsters dress up and imitate the spirits to collect the offerings. 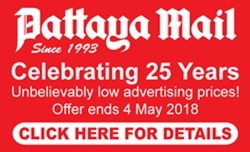 Pattaya Mayor Pol. Maj. Gen. Anan Charoenchasri dances the ramwong with family and friends during the festival. Ornwara Korapin, director of the Tourism Promotion Department, dances the ‘Ram Thai’ with friends. After the feast, residents are entitled to enjoy the meal together but nobody is allowed to take the food home. 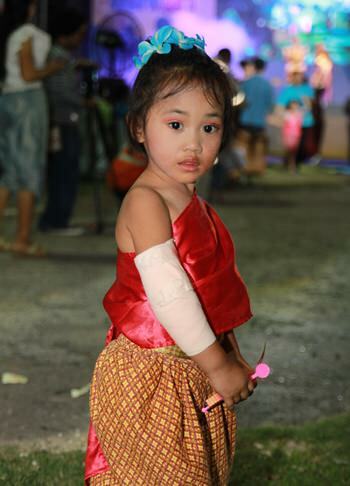 This young child imitates how the ancient Thai people dressed. Some fancy ‘ghosts’ spotted at the festival.